The University of Utah has partnered with BidSync to post, distribute, and receive electronic responses to the University of Utah’s solicitations. We are excited to utilize this innovative advance in electronic commerce. Please register as a prospective supplier to obtain information on open solicitations from the University of Utah. Click here to be forwarded to BidSync where you will be provided instructions on how to register as a prospective supplier. By registering with the BidSync you will be recognized as a supplier that is interested in doing business with the University of Utah and you will be able to receive email notice of the University’s solicitations. 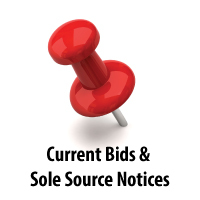 By registering with BidSync you will also have access to bidding opportunities from other public sector agencies, if you choose.